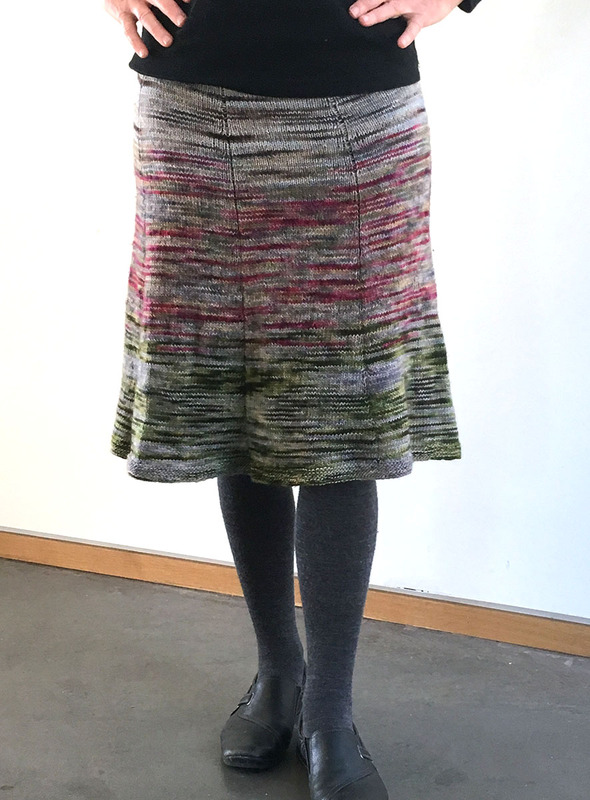 Three National Parks colours blend to make a flared skirt that hits just below the knee. Knit flat in a fan shape, finished with a single seam and button closure. Colours shown are Sable Island, Forillon and Gros Morne.